What is our vision for technology? At New Hampton School, we understand that technology is a versatile tool to aid students in their learning process, share ideas, collaborate, and gather information. Technology in every classroom allows us to create, assess, and individualize learning. Our school's commitment to technology is not limited to our 1:1 iPad program, with the support of Apple, and a dedicated technology department, we ensure that every classroom is equipped with state of the art equipment and Apple TV access. New Hampton School is the only Apple Distinguished boarding school in northern New England. Our students are tech savvy, ready for the 21st century, and well-versed in the promise of technology in their futures. Our teachers understand the strength of technology as a tool to individualize the learning process, support formative assessment, and expand ideas. With the guidance of our Director of Studies and Director of Technology, faculty continue to develop advanced teaching strategies in the classroom and beyond. Here are just a few examples of technology in the classroom at New Hampton School. Our Innovation Lab houses three 3D printers. Students code designs and see them come to life. In a partnership with the Walt Disney Family Museum, New Hampton School students learn the art of Animation through a virtual class taught in partnerships with WDFM educators and animation experts. Apps and organizational tools provide resources for project management, homework tracking, and audio/visual support to meet learning needs. On a virtually connected campus students can share files between residence houses, drop-box homework assignments, or ask questions of a peer or faculty member. Students have even connected with classmates internationally through Facetime or Skype! Rather than a backpack full of books and papers, students can travel freely and rest-assured they have all the materials they need for class at their fingertips with iPad in hand. An advanced technology office offers support to all students and faculty with facility knowing the entire school uses one shared platform. The Hour of Code is a time for students at New Hampton School to learn about coding in a fun and creative way. 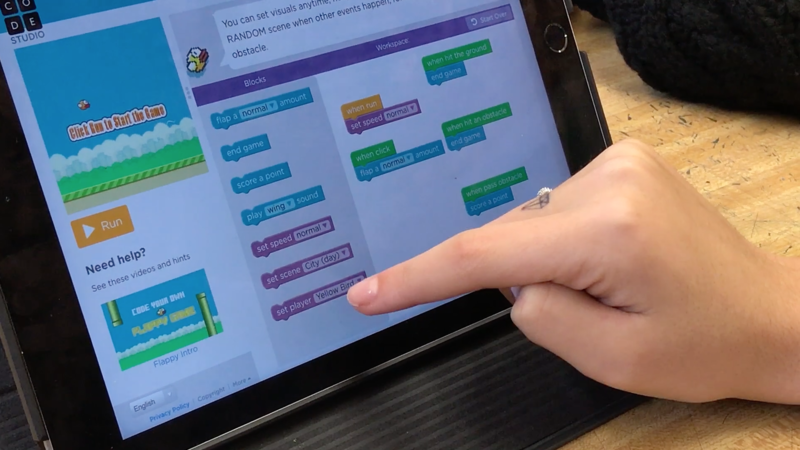 With the help of Swift and Code.org apps that can be downloaded to the iPad, students are able to learn the basics of coding without any prior knowledge. Kahoot! is a great formative assessment tool for faculty and a way for students to have fun with what their learning in class. Utilizing the iPad and the Apple TV, faculty can project a quiz onscreen and students can select their answer and see the correct answer almost immediately. 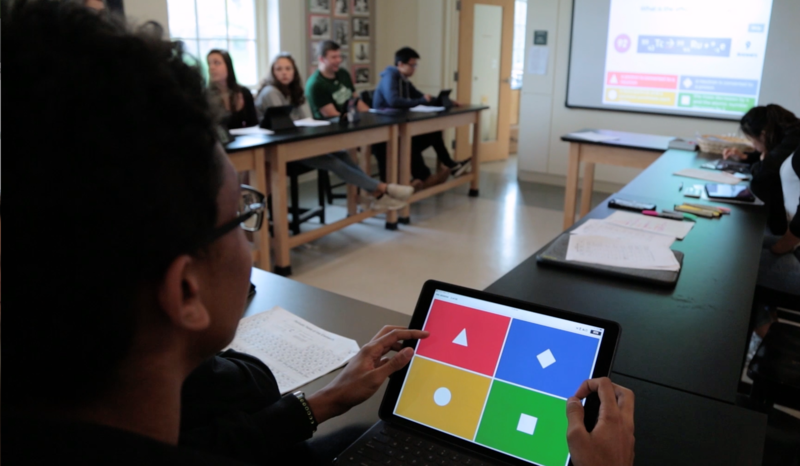 Not only do the students enjoy the interactive nature of Kahoot!, but faculty can get immediate feedback on a students understanding of course material.